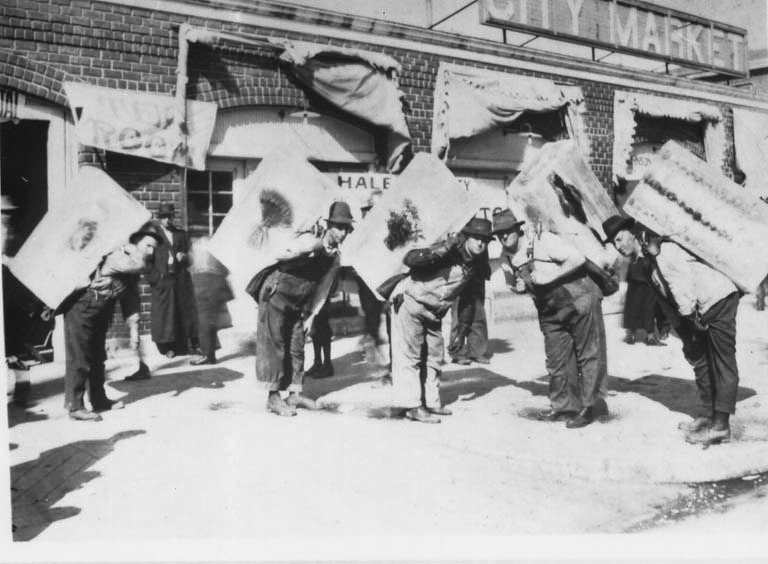 Description: Five men carrying blocks of ice in preparation for a Wheat Show exhibit in the Wichita Forum, which was located in the 200 block of South Water Street. Various decorative objects, including a doll, a spray of wheat, a basket of flowers, a duck, and a row of apples are frozen in the ice. The City Market was part of the Forum Complex. Keywords: Wichita, agriculture, arts and entertainment, business and industry, people, public events. Description: Wichita Flour Mills' employee filling Kansas Expansion Flour sacks. The mill was located at 17th street and Santa Fe avenue. Top portion of image is cropped. Calendar in background shows January 1922. Keywords: Wichita, business and industry, agriculture. 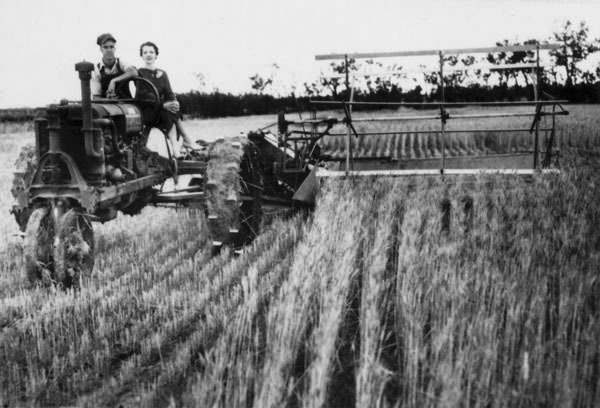 Description: Man and woman posed on the seat of a Farm-All International Tractor, grain binder attached. Keywords: Agriculture, people, agricultural implements, wheat, Wichita. Description: Demonstrating ability to land in farm field, Travel Air plane delivers parts to wheat harvesting crew near Wichita. Keywords: Wichita, aviation, agriculture, people, business and industry. 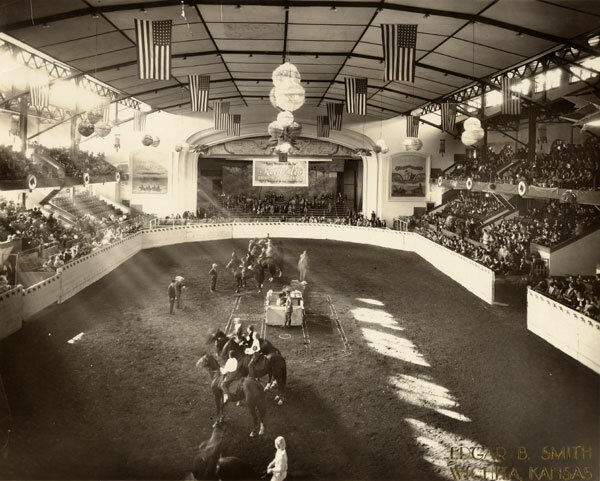 Keywords: Arts and entertainment, public events, sports and recreation, horse show, American flags. 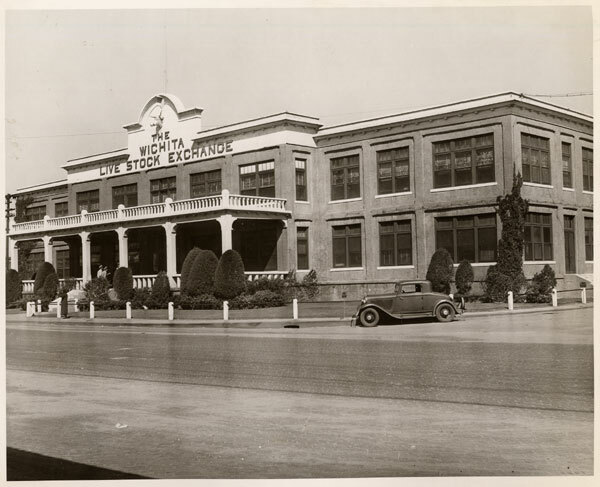 Description: Wichita Livestock Exchange Building at 702 East 21st Street. It housed the Farmers Union Livestock Commission, the Union Stockyards National Bank, the Wichita Union Stockyards Company, etc. Keywords: Wichita, agriculture, business and industry, street scenes, transportation, automobiles. 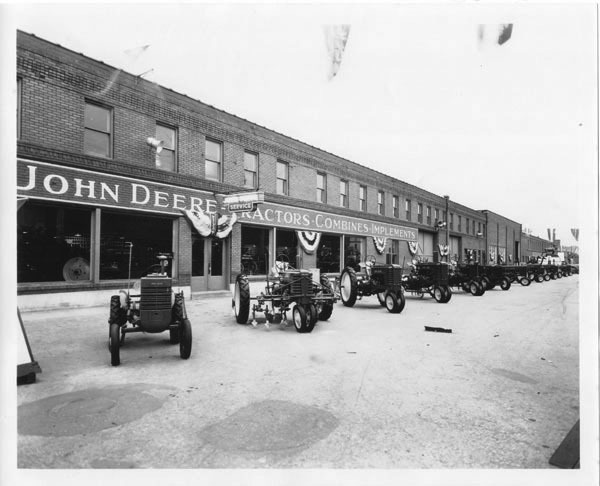 Keywords: Wichita, business and industry, agriculture, transportation, tractors, tractor row, Western Implement Company, farming equipment, sales displays. Description: Loading broomcorn on a railroad car at the John L. Denning Company located at 529 North Mead. Wichita was a major distribution and shipping center for broomcorn. Keywords: Wichita, business and industry, agriculture, transportation. Description: Fred Dold and Sons Packing Company located at 421 East 21st Street. Keywords: Wichita, business and industry, agriculture, buildings. Description: Clarence Schierling receives a $200 premium check for the first place pen of steers at the third annual Wichita Beef Show from Larry Steckline, January 1966. Keywords: Wichita, agriculture, people, public events, cattle.